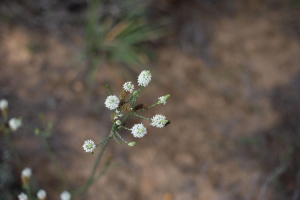 Observation - White flower with twiggy stem and fine leaves - Southern Africa. Description: White flower with twiggy stem and fine leaves. Frequented by bees and butterflies. White flower with twiggy stem and fine leaves. Frequented by bees and butterflies.